Maggie, a passionate and dedicated teacher, agrees to tutor Yuri at his home. As the two forge a deep and soulful connection, Yuri’s boundless curiosity and unique wisdom inspires Maggie to make difficult changes in her own life. Sign me up to receive news about Alyson Richman. Two women - a mother and a teacher. Two back stories of loss and love. One very sick child. These are the basics of The Secret of Clouds by Alyson Richman. The emotion in this book should come from the tragic situation. Yet, the more memorable emotions of this book are the ones from Maggie's and Katya's past. This focus lessens the impact of this book as does the ending, which seems too packaged. 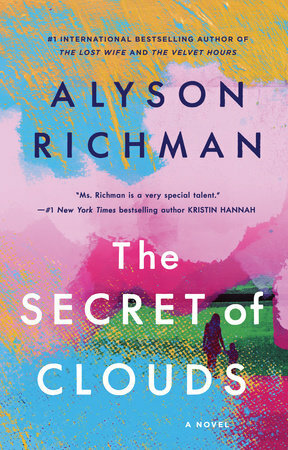 Read my complete review at http://www.memoriesfrombooks.com/2019/02/the-secret-of-clouds.html. Reviewed for Penguin First to Read program. 3.75 stars Thanks to First to Read and Berkley for a chance to read and review this ARC. Publishes February 19, 2019. If there were a place that everyone could find each other after they passed, Yuri a small Ukraine boy, dreamed it would be a family cloud. A heartfelt novel with a great story line and wonderful characters celebrating teachers, of all ages. Music played a major role in this novel, letting you believe that even it was a cherished character. There is so much creativity in this book, both in the story itself and in the lives of the characters. Melding a Ukraine family into a Long Island existence, with factors related to the Chernobyl nuclear melt down, this contemporary story is based on a true life experience. 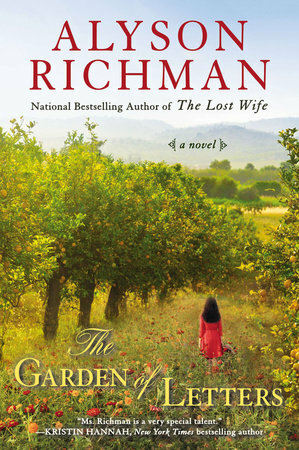 Richman has put forth a story both sad and sincere and well worth the time to read. This is a cozy mystery without the mystery, a feel-good story with blazing fireplaces and Italian food and baseball and books for 6th graders. A good read of the first 50-60 pages will lay out the entire plot -- it's not exactly suspenseful. But it is enjoyable, a quick read that is the equivalent of the comfort food that shows up in the plot. It's not something to be read to learn anything -- the research is a little shallow, shall we say, both in the "science" that draws an equation to between fallout mushrooms and a little boys heart defect (I groaned aloud at this one) and the baseball that the main characters bond over. But if you can look past that and don't care too much about the facts, it's a nice cozy read about a very earnest teacher. I got a copy to review from First to Read. This was a lovely book. Maggie is a fresh,bright and somewhat overly ambitious new 6th grade teacher. When she gets a special project to home tutor a sick student names Yuri she has to try and help this child and confront some of her past issues. Interwoven with the story of Yuris parents beginning just before the Chernobyl disaster is a moving story about how Yuri effects the lives of those around him. What an amazing book! I am the child of two teachers and this story gets it all right. I can't wait to recommend it to my book club. I received this book from First to Read for free in exchange for an honest review. This was such a great story about the power of being a teacher. I loved the characters, especially the two boys and their sweet friendship. This was my first book by this author. I highly recommend this book if you are a teacher or work in a school with children. The main character, Maggie, who is a 6th grade English teacher, decides to tutor Yuri outside of school because he is not healthy enough to be around children. The author did a great job developing the relationship between Maggie and Yuri. The reason I recommend this book to educators is that there are so many great examples of the struggles of being a teacher but also the rewards of working with children. My only complaint of the book is the back history of Yuri's parents was a bit boring. Even though it ties into why Yuri might have his heart defect, it was too much. I just wanted to get back to Maggie and Yuri's story. Overall, a beautiful story of living life to the fullest and making the most of what you are given. I loved this book. It is a beautiful story of a young boy and his teacher. I loved how the characters' lives become intertwined and they help one another to grow. I enjoyed the writing and the flow of the story. I would highly recommend. Alyson Richman brings the characters to life in this novel in an engaging story of a young boy, Yuri, and his teacher Maggie. Yuri's parents have left their homeland of Kiev for the U.S. where Yuri is fighting a disabling heart condition. Maggie is a dedicated classroom teacher who is asked to take on a special assignment tutoring Yuri at home. I was drawn into this emotional story and thoroughly enjoyed it. I'm looking forward to reading more from this author. Thanks for the opportunity to preview this book. Thank you First To Read for giving me the opportunity to read and advanced copy of The Secret of Clouds by Alyson Richmond. From this book and as I'm seeing in my life, you know in your heart what you want to be when you grow up and how you are meant to put your mark on the lives of others. In this case, after going back to university Maggie becomes a teacher and is asked to tutor a student named Yuri who has a heart defect and is unable to come to school. Over time she makes a connection with Yuri and helps his learn by using what his passion is, baseball. Throughout the story you see Maggie's devotion to her students especially Yuri. You get to see what Yuri is thinking and his determination to be in a school setting with kids his age. You get to see the fears and doubts that Katya and Sasha have as they have issues in letting Yuri be apart of the classroom setting in fears that it will be too much for his heart. I really enjoyed this book and it made me look at things differently. Thank you to First To Read and Penguin Random House for the ARC. I loved this book. It was beautifully written. “I wasn’t sure broken hearts could heal; they beat differently, forever altered.” An ode to teachers and their relationship with their students. An ode to parents of an ill child. An ode to how things that happen to us in life and who we meet in life’s journey can and will alter us forever. I hated to see this book end. I will miss it!! 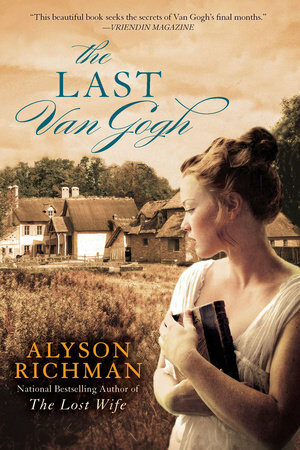 But I will be checking out Alyson Richman’s previous novels. Not great. Predictable. Repetitive. Stale. This is the story of a teacher who tutors a student too ill to come to school. Of course, he’s the most special student of all, abc she devotes herself to him, learning valuable lessons of her own. The author does handle Yuri, the sick boy, & his mother with better skill than the main character. There is more depth & texture to them, more immediate access to their emotions. It’s a shame the whole thing wasn’t written through that lens instead - it would have improved the book. My thanks to the publisher for an ARC of this book in exchange for an honest review. This is a lovely story of a dedicated teacher who has the chance to tutor a student who suffers with a heart defect. Over time, they develop a strong bond and friendship. They learn from one another and help one another see life in a new and better way. Both characters end up being exactly what the other needed in his/her life. Thank you to the publisher for the opportunity to read an ARC. I enjoyed this book. At times the writing was a little too "mushy" and overly sentimental, but the story was a very sweet tale about how one student changed the heart and life of a teacher. Towards the end, the story got a little long, rehashing the same feelings over and over again, but it had a satisfying ending. It probably could have been 50 pages or so shorter and still conveyed the story well. Overall it was very enjoyable. 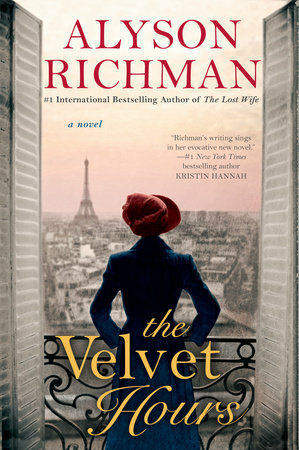 While not as enjoyable for me, as say, The Velvet Hours, I did enjoy "Clouds." It's a different sort of story, not historical fiction as I was expecting, but well done all the same. The story of a teacher who learns just as much from her student as he from her, as I'm sure happens quite a bit, Clouds focuses on Maggie and Yuri, and how each evolves - personally, emotionally, professionally - throughout the course of their friendship. The characters are well drawn and realistic, reading about them was like spending time with old friends. P.S. Thanks to Firsttoread.com for the advance copy. This novel was an absolute delight! You couldn't help but fall in love with all of the characters (except for Bill, maybe). Needless to say, this is a tear-jerker of a novel, but it is not over the top. I loved that two of the main characters, Katya and Sasha, were immigrants that were not vilified and allowed to keep their heritage and culture. I loved Maggie, she is full of so much love and compassion and determination. Yuri was such a precious and special young man, who was so full of life despite having a defective physical heart. Even Maggie's parents and fellow teachers warmed your heart. This book will make you cry and will make you smile, and I highly recommend it. A deeply moving reminder that teaching is not only a career, it is a calling. Maggie represents all those teachers who go over and above what is required, and find meaning in their own lives by seeing the "aha!" moments in a child's learning eyes. A wonderful story about a teacher and Yuri, a homebound student she tutors, and the relationship formed as she tries to bring the outside world to Yuri and Yuri to the outside world. This book is the reason that I read. Maggie is transformed by her experience teaching Yuri in his home. You experience her past and how this ties into what she experiences with Yuri. She is a teacher, but is the student more often than not through this novel. This book is nothing short of magical and will be recommending this book to others and looking for more to read from this author. Thanks for the ARC, First to Read. I loved the storyline, the characters and the writing style of this author. Here is the "but": this novel is just too drawn out. It is too long and drags out. Unfortunately I got bored and quit reading before the end of the book. The Secret of Clouds is a gem of realistic fiction! Maggie Topper is a perfectionist as the main character, a sixth grade Language Arts teacher in Long Island, New York. She is totally devoted to her students, including Yuri, a boy who has a heart defect. I identified with this novel because I taught students with health issues, when they were too weak to attend school. The intended audience certainly is aimed at teachers and female readers. Other interesting topics in the story include violin making, baseball, ballet, and the Russian Chernobyl nuclear disaster. A sweet touching novel of a boy and his dedicated teacher. It was emotional and well written but fell just short of gripping your heart and tearing it from your chest. It's a story meant to bring out the emotional heart-wrenching ugly cry but falls short of truly achieving that. Some vital piece was missing for me. I wanted to really love the book but it was an overall good read, not a love of all parts separately. I know many loved this book, but The Secret of Clouds was not for me. I loved the premise of the book but I found the writing a bit tortured and the tone overly sentimental. Most of the supporting characters are not well developed, either, which further hindered my enjoyment. I struggled a bit initially with this book - I wasn't entirely sure I was going to appreciate what I thought would be a "baseball" book. But it was so much more than that - it was a sweet story about life and love and living your dreams while you're able. It was a great example of the mark that a good teacher can leave on your life (and how students can affect a good teacher). It was predictable - almost annoyingly predictable every step of the way. I had a feeling about 20 pages in this would be an emotional read, and sure enough I was right. Whether you are a parent or not, I think it would be hard not to develop an attachment to a sick child. Yuri for sure is what drove the story. Maggie, a young teacher, has agreed to help tutor Yuri, a boy who is not able to attend school due to his heart condition. His parents, Sasha and Katya, left Ukraine to live in America after the Chernobyl disaster. While Maggie is busy teaching Yuri reading and writing, she just might learn a thing or two from him as well. This is the second book I have read recently in which a teacher does a writing assignment in which the children write a letter to their future selves. In this case, Maggie will send the sixth grade students' letters to them when they graduate high school. How the letters factor in later on in the story and when the secret of the clouds is revealed are really some touching and beautiful moments. The difference a good and passionate teacher can make in a child's life is also part of the appeal of this book. While I did enjoy this book there was just something holding it back from being a 5 star read for me. The Maggie parts of the story that did not involve Yuri were the weakest in my opinion. I agree with another reviewer that it felt like any problem she faced was just magically resolved or moved on from without another mention. I just can't say I warmed up to the character 100%. Honestly though this is more nitpicking than anything as I did overall think this was a good read. So much so I finished it in a day. Thank you to First to Read for the opportunity to read an advance digital copy! The Secret of Clouds an enjoyable, quick read. If you like adventure and excitement this is not the book for you. But if you like to contemplate everyday relationships and the sometimes complex decisions that affect those relationships you will like this book. Told from the point of view of a teacher and the parents of her student in flashbacks to their life in Kiev. Some parts of the book felt like additional filler rather than pertaining to the main story being told and I lost some interest. The end was rather predictable but decent. The Secret of Clouds is a sweet and touching novel. I enjoyed reading about Yuri so much; he was a great kid! However, and I'm the minority here, I felt the book was mostly too "fairytale" for me. It seemed each time an obstacle arose for Maggie a solution usually somewhat kitschy or cliche would just appear and work. I don't know - it just didn't feel like there was as much struggle as you'd likely feel with a novel facing the types of adversity this one does. Speaking of adversity, the author took on a LOT of heavy topics in this novel and I felt like only one or two (Yuri's and Katya's/Sasha's) got covered very well. Everything else was very top level and superficial, and I felt like maybe there was just too much getting shoved into one novel. 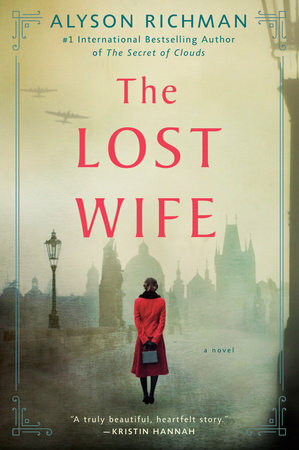 Again, I'm the minority here, most loved the novel so definitely give it a try if the description speaks to you (I did enjoy it - it just wasn't the 5 stars for me that everyone else seems to be giving it).